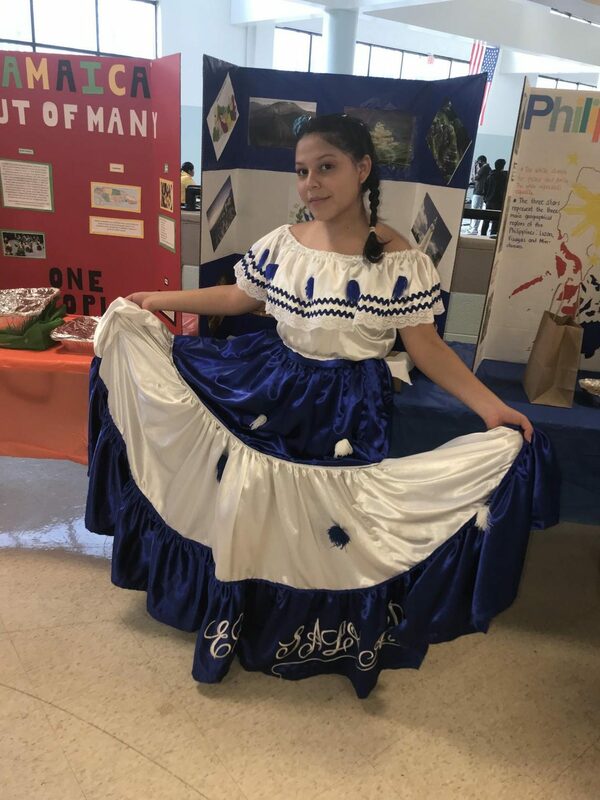 Senior Doereana Hernandez Martinez shows off her dress at International Night on March 14. On Thursday March 14, Watkins Mill held its annual International Night. There were students representing countries from Africa, Central America, South Asia, Europe and more who participated in the event. 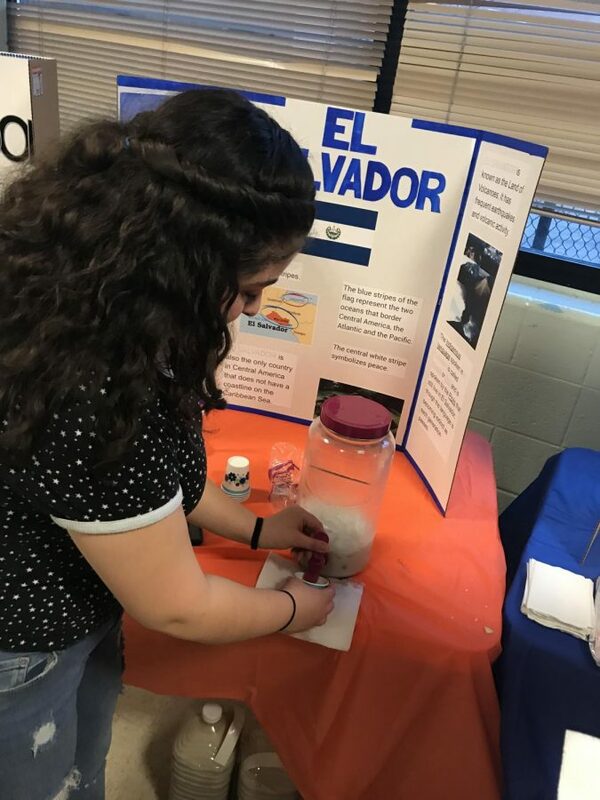 International Night is when the students of Watkins Mill unite to express themselves and show off who they are by displaying their cultures with food, posters and clothes. Watkins Mill’s Latin Rock Band called the “Chicos de Pueblo” performed, along with the K-Pop group NOVA, the African Dance Group, senior Yohanna Solomon with an Ethiopian dance, and OLAS. There was also a poetry recital by seniors Ashley Villars and Ife Abiola. Then there was the cultural attire fashion show with 12 models, followed by the food tasting from several of the countries and display boards. Additionally with the food brought by the students, Culinary teacher Emily Nalda made with her students: kolache cookies, empanadas, baked mini tortillas, pad thai tasting cups, and chicken shawarma.